What does Peace of Mind Guaranteed (P.O.M.G.) mean? 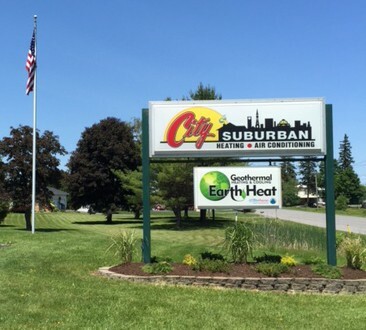 When you work with City Suburban Heating & Cooling, all service calls are answered by a live person, 24 hours a day, and all of our service trucks are stocked with all the parts needed to fix the problem immediately, so you won't have to worry about return trips or delays. It means "No Heat" calls are handled immediately—a Service Technician will be dispatched within the hour, and start working to solve your service problem quickly. Our Service Technicians are polite, neat and will explain the problem to you, and what needs to be done to fix it. And it means we will always get your approval before beginning any service work. Find out what others have to say about our work. Having a problem with your heat or air conditioning? Call us now at 315-853-3899 or sign up for a tune-up online, and get P.O.M.G.